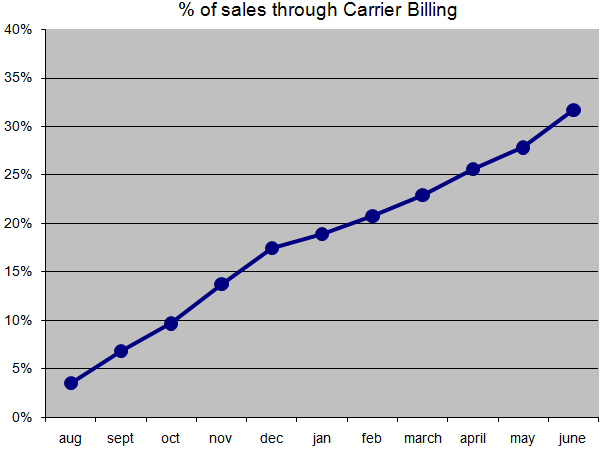 The use of carrier billing continues to grow at a rapid pace. Use of this option has increased every single month after it was introduced, and in June accounted for 31.7% of all purchases. This data is generated from the dollar amount of purchases of all Ebscer applications over the given month.